I’m posting over at Proverbs 31 Ministries today. I thought you might enjoy this devotion as well! But you might not! It’s about a verse that made me stop in my tracks. The Philistines saw Samson’s infatuation with one of their own as a pathway to discovering the secret to his supernatural strength. So each of the Philistine officials offered Delilah 1,100 shekels of silver to uncover his secret. Three times she begged him reveal the source of his strength, and three times he lied to her. 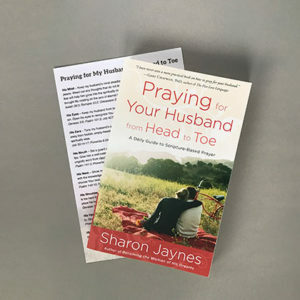 Sometimes it’s hard to know what to pray for your husband, but in my book, Praying for Your Husband from Head to Toe, I map out 16 landmarks to help you consistently and effectively cover your husband in prayer. The 30-day prayer guide provides Scripture for each day along with corresponding prayers to target crucial areas of every man’s life. Looking for some romance ideas for Valentine’s Day? Click over to my free printable of 25 Ways to Romance Your Husband. I’ve got him covered. What a powerful read after waking at 4:00am to find my spouse had left. I called before I read this piece and asked where he was and tried to explain why I didn’t like that he’d done that. I also said I trust God to him because he knows everything. So thankful for the Holy Spirit laying His words of wisdom on your heart to speak to our hearts…..and that you follow His leading to speak His truth! I so needed to hear these very words…thank you Father for being such a good good Father! I love you Lord!! I prayed the prayer for my husband, son, and grand sons. I’ve got him covered! Praise GOD! God is so good. We are going through some rough waters (not in our marriage but church) . So it is wonderful when words fail us we have these now. Thank you, thank you, thank you. May God richly bless you and yours for your ever faithfulness to this misitry. Have a wonderful day. Thank you for the reminder. I purchased this wonderful book a few years back. I admit that I need to be more disciplined and pull it out and pray thru it again. I’m guilty of letting life get so busy that I don’t always finish what I know I should. Yes🙌🏽I got him covered today. Great devotion. Even for my kids. Starting w/after God created Adam….is so poignant…kindly let me know Sharon.. 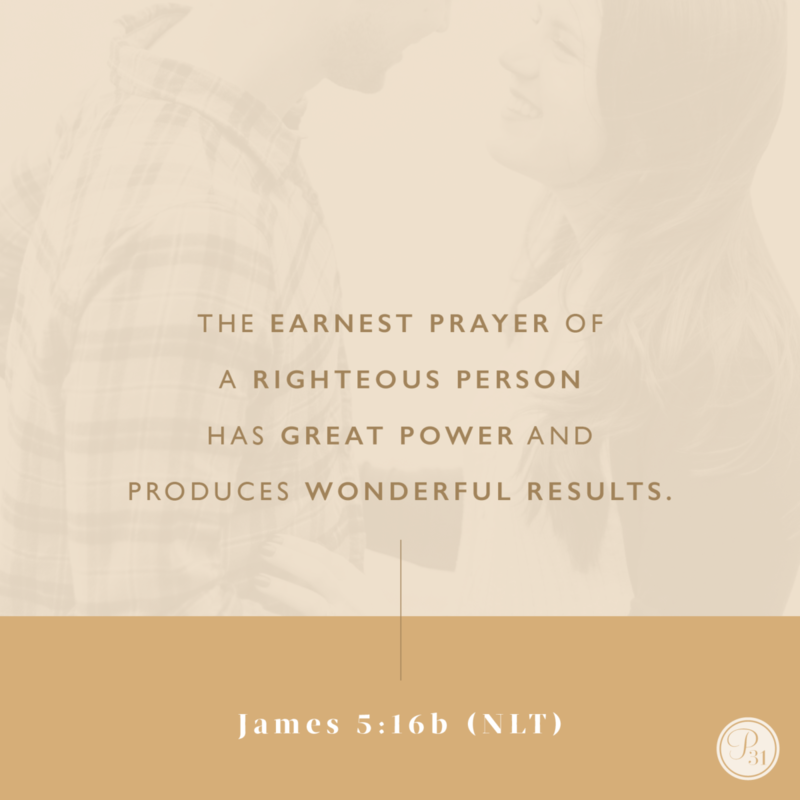 The tenth of this month was my 5 year anniversary of praying for my husband using your book. God has done an amazing job of applying those scriptures to his life. I feel like I am married to a different man. And my husband is so grateful for my commitment to prayer for him. I’ve got him covered, thank you for reminding me how to pray for the man that I so dearly love! Yes I have my guy covered today! Great devotion, powerful words to think about! I’ve got him covered. Praises be to God. I’ve got him covered from the top of his head to the soles of his feet he is bathed in the prayer and the righteousness of God! He’s covered and so are my boys. I’ve got him covered, but better yet is that God has him covered! Loved reading this post. Thank you! I’ve got a copy of your book, “Praying For Your Husband From Head To Toe”, but I must confess I have never read it. Need to do that right away! I did pray the prayer you just listed for him today, so God has him covered!! Even though that stepped on my toes real good (the part about nagging!) I am trying to be the woman my husband needs! I’ve got Claude Alexander,Jr. covered! I love your prayers for husbands. I have prayed them many times. Thank you! I’ve got him covered. I don’t pray for my husband often enough so this devotion really opened my eyes and my heart. Thank you. I’ve got him covered.. by God! this devotion truly spoke to me today – I have been that nagging wife and it’s time I ask God to take care of him and as you say, be the man God wants him to be ! thank you so much for your words…..I will try to heed them going forward – God bless you. I’ve got him covered ❤️❤️ I have your book and have picked it up again on 2-1. I needed this as my husband and I are going through a rough patch right now. I know I must stay steadfast in Gods word and promise. Amen! I’ve got him covered. I’ve been using your prayers since the book came out. And have purchased one for not only my sister’s buy every young lady that got married in our ministry. I may be you biggest fan. I’ve got him covered. Please pray for his salvation. I’ve got him covered! Thank you Jesus for sending the right devotions at the right time! I have got him covered in Jesus Mighty name. Absolutely love this book and use it to cover my husband! I’ve lost count on how many I have purchased for others. It makes a great wedding gift! I’ve Got Him Covered, I also asked God to do the same prayer in my life that he does in my husband’s life because we are one. I also need a closer relationship with the Lord. Thank God for you and your ministry to Women.